The sun can cause damage to your asphalt shingle roof over time. 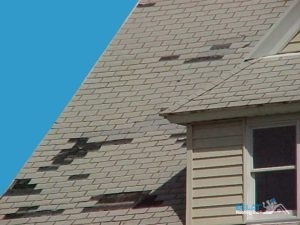 It’s similar to the damage that occurs when you expose your skin to UV rays for prolonged periods of time, only worse; your roof sits under the sun all day, every day, and if you have an asphalt shingle roof, it can become significantly damaged through the years. Warped and curling shingles. If you see shingles with corners that are beginning to curl, or if your shingles are visibly parched and cracked, they’ve likely been damaged by UV rays. UV rays destroy the oils that keep your shingles supple and flexible. In this case, you’ll need to replace the damaged shingles. The roof pulling away from the flashing. In hot weather, your roof expands. In cold weather, it contracts. Though this process isn’t visible, its effects can be. All of this expansion and shrinkage can warp the roof, causing the shingles to pull away from the metal flashing around your chimney and gutters. Visible fading. If your shingles have become discolored and sun-faded, you can bet they’ve taken some damage. Applying new paint is a quick fix, but won’t address the underlying problem of brittle shingles. If you have a flat roof, a rubberized roof coating can help. If you have a very faded, steep roof, spot repairs or replacement are good options. The best thing to do for your roof whenever the season changes is to have a professional come out and inspect it for damage. They will tell you how to properly maintain your roofing system, and make sure it is strong enough to survive the season ahead. When you need a thorough roof inspection, give us a call! We’re always happy to help. Posted in Uncategorized on June 17, 2016 at 2:28 pm by Eclat Roofing.